Thank you to everyone who has supported us this term while we have been relaunching the PTFA. We hope to provide a fun link between Home and School for the many parents within our school community, working together to support the amazing opportunities that Tallis kids have access to every day and hopefully help sustain them for future students joining our community every year. Many thanks from your PTFA Committee.  ​Thomas Tallis School welcomes support from parents, friends and the community in whatever form. We are a fully inclusive community comprehensive school, and we work hard to offer a rich experience to all our students, whatever their background. Parents often ask if they can make a financial donation to help the school – and the answer is YES! ​Did you know that whenever you buy anything online - from your weekly shop to your annual holiday - you could be collecting free donations for Tallis PTFA? 1. Head to the Easy Fundraising website and join for free. There are no catches or hidden charges and Tallis PTFA will be really grateful for your donations. Click here to Sign up before the 31st December and raise an extra £5 BONUS donation when you raise £5 in your first 12 months.